Every now and then there are some special people that come our way, places we discover and brands we simply cannot live without and we'd love to share these with you. 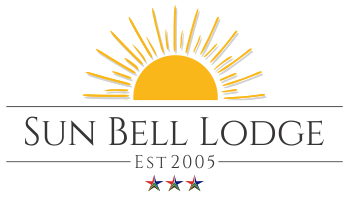 Proudly South African and loved by Sun Bell Lodge, Kurt Darren stays at Sun Bell Lodge when performing in Cape Town. Often uses Sun Bell Lodge as his favourite Cape Town accommodation choice when performing in the Cape. An annual Afrikaans music festival held in Durbanville showcasing Afrikaans musicians and artists. Great promotional company to some of the top South African musicians. Oasis Country Lodge is ideally located on the N7 national highway between Cape Town and Namibia offering an ideal stopover for both corporate or leisure visitors. Our sister accommodation in Klawer, an ideal choice during the Namaqualand flower season. Situated outside of Oudtshoorn on the R328 the property is tucked away under massive willow trees on the banks of the Grobbelaars river, offering visitors the ultimate mountain retreat where you can escape the pace and drudgery of city life. 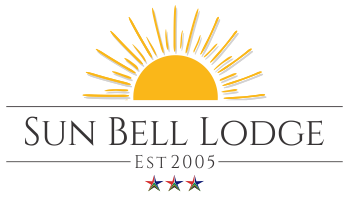 Sister accommodation to Sun Bell Lodge, this ideal hideaway is something not to be missed when visiting the Karoo. A jewel on the west coast of South Africa the self catering options at Strandfontein Accommodation offers visitors endless sea views of this priceless piece of paradise. Strandfontein Accommodation is yet another of the Cape Escape Group's Accommodation options so don't miss out when travelling the west coast. A 5 star Working wine farm with guest house facilities in their beautiful cottages set amongst the vineyards. Hiking trails, mountain biking and picnics under the stars. This venue is unique. Follow their Tripadvisor reviews. Seeing is believing.